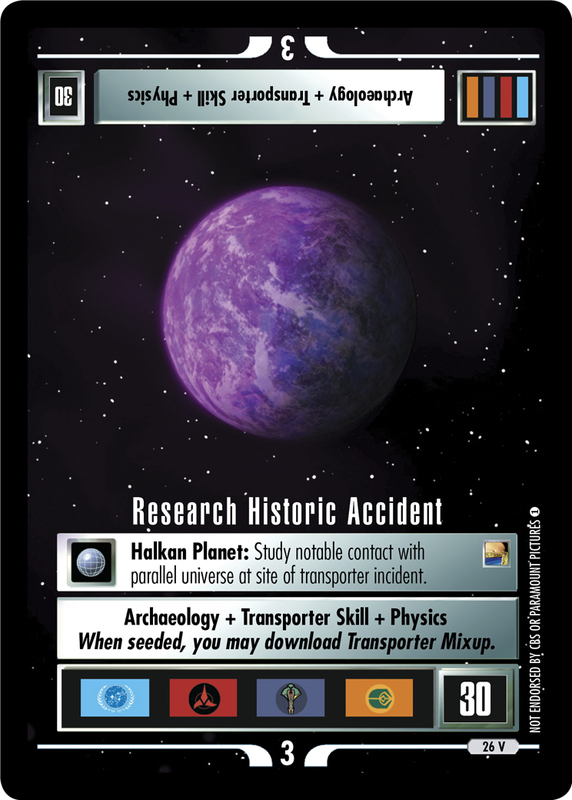 Mirror Universe • 2267 Halkan Planet: Site of dilithium deposits and obstinate inhabitants. 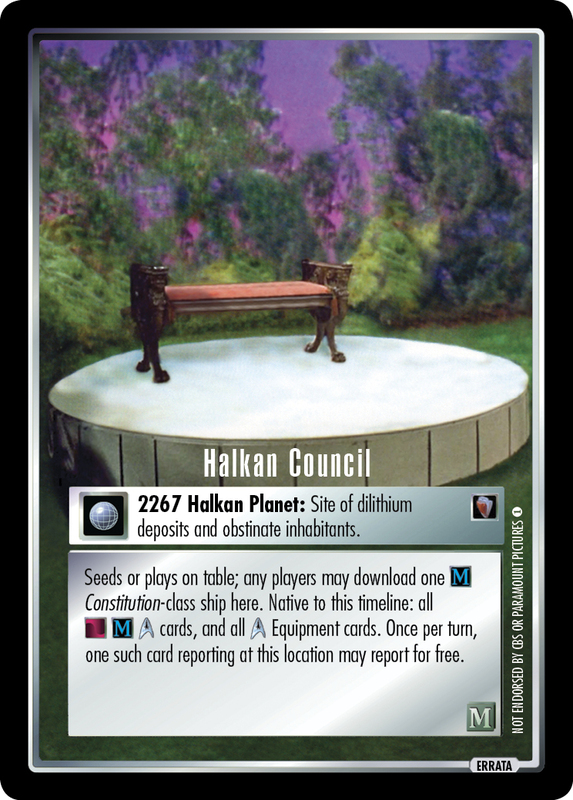 Seeds or plays on table; any players may download one Constitution-class ship here. Native to this timeline: all cards, and all Equipment cards. Once per turn, one such card reporting at this location may report for free.